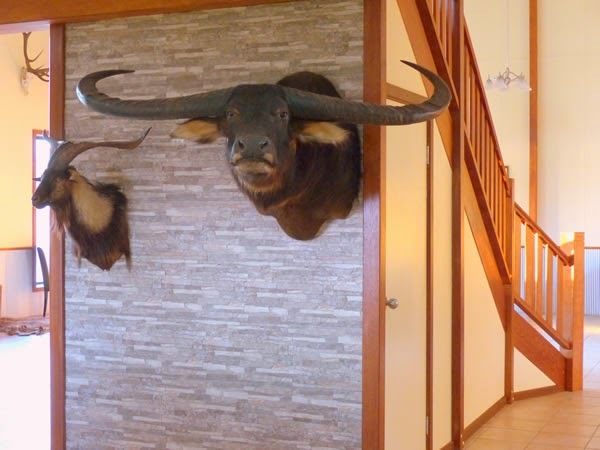 Australia Wide Safaris provides a first class lodge and accommodation for our guests. Our 2 storey lodge covers 370 square metres of entertaining area, bar, lounges, dining room and a trophy hall. The dining room and entire lodge are fully air-conditioned. Our private cabin’s are all air conditioned with their own ensuite bathrooms. All meals are carefully prepared by our “Chef” in the homestead’s kitchen. Local game meats and some of the best Australian beef steaks and Barramundi fish fillets are on the menu. For the convenience of our guests free WIFI is available in our lodge. Keeping in contact for business and with your family is easy whilst at Carmor Plains.